What characteristics will successful insurers share in the future? Strong ecosystem positioning will be critical for insurers to thrive in evolving macroeconomic, regulatory, and operating environment. Insurance industry market dynamics are in flux, with new ecosystem models coming into play. Heightened customer expectations and rapid technological advancements are among the catalysts spurring an industrywide shift. New players, such as BigTechs and manufacturers, are entering the industry, too, which means potential competition for incumbents. In fact, more than half of insurers say they are feeling the heat from new entrants such as Amazon, Alibaba, and Alphabet (Google), according to a survey conducted as part of the World InsurTech Report (WITR) 2018. Undeniably, the insurance landscape is evolving, and insurers will need to prioritize certain essential attributes to differentiate themselves and succeed over the long haul. Six differentiating characteristics will help to set insurance firms apart and enable them to succeed in the future, according to the WITR 2018. A digital and lean organization ― underpinned by robust infrastructure and agile processes ― is a starting point for success. Organizational readiness involves automated processes, cloud-based resources, and real-time capabilities to drive higher operational efficiency, to scale up innovation more quickly, and to enable faster time to market. Are traditional insurers ready to implement real-time capabilities? Data from the World Insurance Report (WIR) 2018 revealed that only a little more than 10% of insurers possessed the complete front- and back-end infrastructure needed to collect real-time data, and just about 11% of insurers leveraged advanced analytics together with artificial intelligence and machine learning to derive real-time actionable insights. When it came to digital transformation readiness, however, the results were better with more than 36% of insurers saying they had digitized their back-end core systems. The data indicates that while insurers recognize the importance of digital transformation and are taking transformational steps, they must focus more on building real-time data-handling capabilities and beefing up real-time execution. Firmwide digital culture is another future-proofing characteristic. 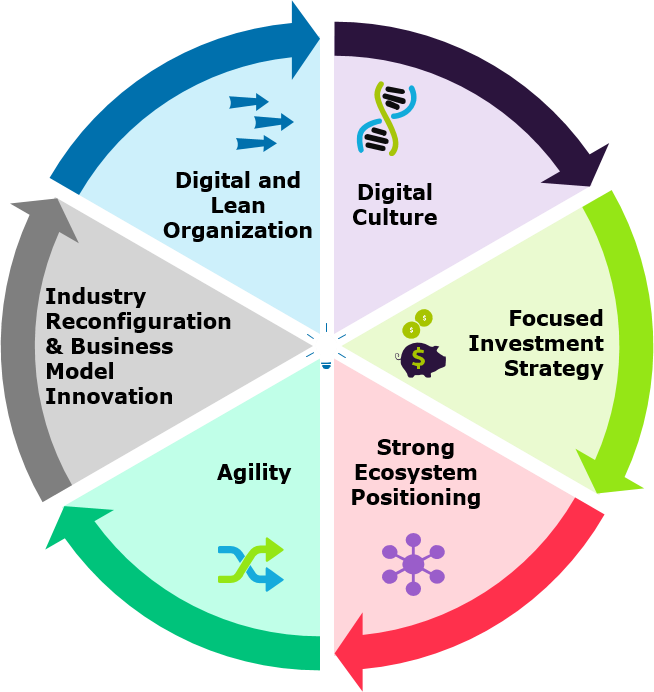 However, to inspire cultural change, the firm’s business strategy must align with its digital roadmap ― getting buy-in and support from top executives, upskilling staff so that all team members understand and can handle digital technologies, and encouraging an innovative, digital-first mindset in each company stakeholder. Across the financial services sector, the shift to an agile and innovative cultural mindset is critical for applying innovation. According to the World FinTech Report (WFTR) 2017, more than 50% of financial services firms believe the same. Future-ready insurers need a focused investment strategy that aligns with business priorities and supports new technology, innovation, and collaboration. One such investment strategy is to set up a dedicated venture fund to back aligned technologies and innovations. With an eye on long-term success, a number of large insurance firms such as French insurer AXA and London-based Aviva have established corporate venture capital (CVC) arms, while reinsurers MUNICH RE and SWISS RE have launched accelerators to instill innovation. Strong ecosystem positioning will also be necessary for insurers to thrive within evolving macroeconomic, regulatory, and operating parameters. Firms can determine their ecosystem position by becoming niche specialists with value-chain differentiation. Additionally, insurers should consider industry reconfiguration and business model innovation to position themselves as strong contenders within an increasingly competitive landscape. New approaches will enable insurers to evolve as their customers’ risk partners by delivering seamless and integrated risk mitigation and prevention experiences. Collaborating with InsurTechs can help established insurers shore up areas of weakness and acquire new capabilities. One or more partnerships can be crucial to developing the differentiating characteristics required for long-term success. With incumbent-InsurTech partnerships enabling access to each others’ complementary strengths, alliances will strengthen all players and grow the insurance ecosystem as a whole. Going forward, how traditional insurers and InsurTech firms leverage each other’s strengths to grow the insurance market and ecosystem will define and differentiate the leading the insurance and InsurTech firms from the rest.